Star Renewable Energy Director Dave Pearson will demonstrate how renewable heating can play a key role in achieving the COP21 target of an 80% reduction in carbon emissions by 2050 at the IASS Potsdam’s Smart Energy Systems Workshop later this month. Drammen used their circumstances and achieved an 85% decarbonisation of the heating in 2010. Part of this tremendous result was the modulation of the heatpumps from 2MW to 13MW. The workshop aims to gather information on the potential of energy sector coupling and to raise and answer questions concerning the current challenges our cities are facing. Whilst heating currently accounts for 50% of the world’s carbon footprint, efforts have been mainly focused at generating low carbon or renewable electricity. However, “decarbonising heating is actually comparatively easy,” according to renewable heating company director Mr Pearson. A city in Norway decided to take matters into their own hands and make a big single step forward. The city of Drammen with a population of 63,000 people used to deliver heat to the district heating network by burning gas or oil. In 2009, they decided to switch to a low carbon, renewable source and harness the residual heat from the local fjord. 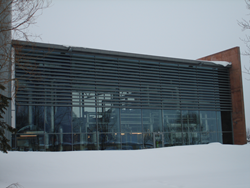 Although the concept of harnessing low grade sources of heat was already accomplished several decades earlier in other cities, the turning point came as Drammen shifted from HFCs to zero carbon ammonia, a natural fluid widely used throughout the refrigeration industry. HFCs have such a large impact on the climate because they are much more powerful greenhouse gases than CO2. For example, one commonly used HFC (HFC-134a) has a 100-year global warming potential (GWP), almost 1400 times that of CO2. The use of ammonia meant that the electrical power required to drive the heatpump would be around 20% less than for one containing a HFC refrigerant, which lead to a saving of hundreds of thousands of Euros – as well as energy savings equal to driving 800,000km in a saloon car – per year. Drammen’s clean grid, which has an intensity factor of less than 50g/kWh of power, provided even further carbon savings – such that the saving versus gas is nearly 100%. With increasing global attempts to decarbonise the grid, new opportunities for heatpumps to become carbon neutral will arise. Grid balancing has the potential to bring us even closer to our 2050 COP21 targets as big heatpumps can be driven harder when interruptible supplies, such as from wind and solar, are more abundant. “Given that every major European city is close to either surface water or subterranean sources, why not follow Drammen and deploy thermally integrated heating and cooling networks coupled with available low carbon sources?” asks Pearson. An in-depth insight will be shared at the forthcoming Energy Systems Workshop hosted by the Institute for Advanced Sustainability Studies (IASS) in Berlin on 24th and 25th February. The IASS Potsdam gathers together all relevant forms of knowledge from science, society and politics in order to initiate and support a transformation towards sustainable development that is grounded in scientific research. To find out more, visit http://www.iass-potsdam.de. Star Renewable Energy manufactures large scale heat pump systems for low carbon heating and cooling generation for district or industrial processes. For more information, visit http://www.neatpump.com.